A while back I got stuck in Charlotte on a lay over when my flight was canceled. I hit a trio of thrift stores in short order and got back to business. This time, my destination was in fact Charlotte - I had four days in town but was overwhelmed with work. Luckily, I made time on the first day to head over to Lunchbox Records. (I also slammed on the brakes at an S.A. just a few blocks away). I'm glad I did as the rest of the week gave me no time except to try and regain my strength in a lonely hotel room, preparing for the next day's onslaught. Lunchbox sits in a busy and seemingly trendy neighborhood where parking is at an absolute premium. Traffic was bad even at close to 7pm on a Tuesday and I struggled to find anywhere to park with my remaining hour or business dwindling. I eventually found a free lot and had to squeeze myself out of the way until a spot opened, then quickly back into it before it was stolen by another unlucky soul. I got back over to the store and got to work. I spent a few moments getting the layout of the store's categories straight and finally found the jazz section in the rear of the shop. Not wanting to impinge upon another browser, I dug into the new arrivals section where I found another trombone masterpiece (or so I gambled). Being so happy with finally getting my own copy of 'Rainy Day' after coveting my girlfriend's copy (which I bought her, no less) I knew it would be safe to roll the dice on any Verve offering from 'K'. I have not been disappointed after getting it home and spinning it a few times. Herbie Hancock's funky and soulful influence have infiltrated the record making it quite different from 'Rainy Day' but just as enjoyable. Reminds me very much of the 'generic' soul-jazz on another much wanted compilation (I've had the digital tracks for over a decade -- I'd love to have a physical copy but that remains unlikely due to the cost). 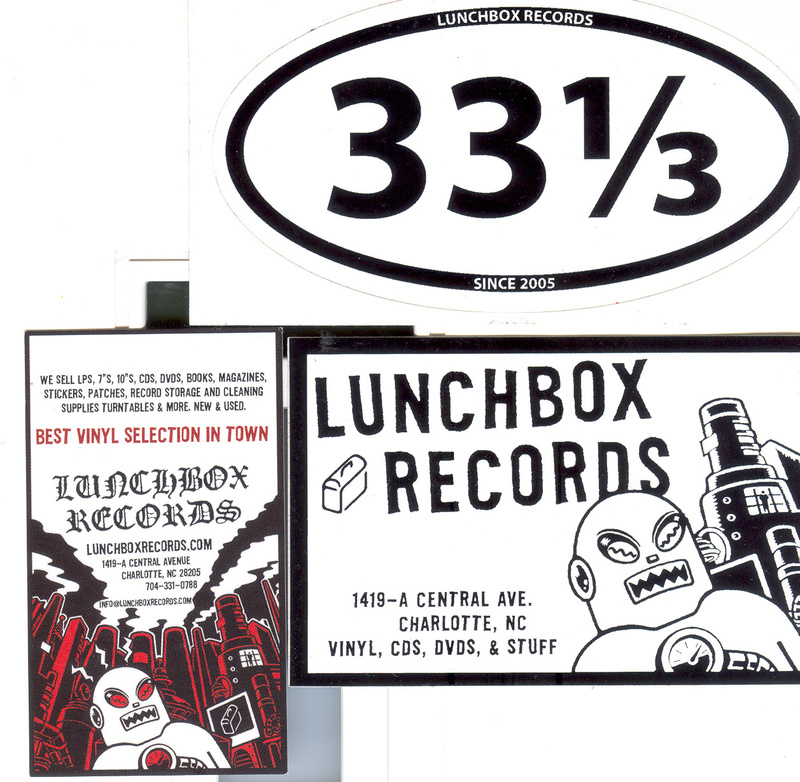 I was happy to score some stickers from the place which have since been applied to my locking record box I grabbed out of the garbage a few months ago. Lunchbox Records is a small but world class (compared to other larger cities) shop that is worth a stop.